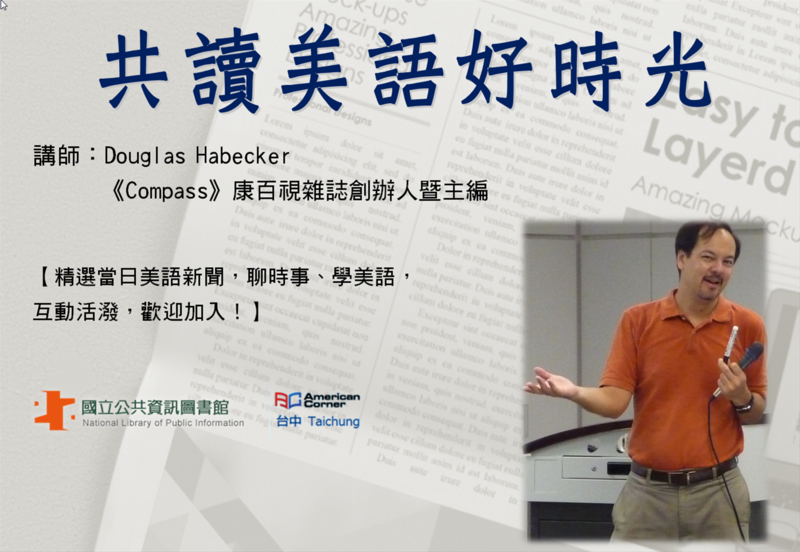 A class held by head editor of Compass megazine Douglas for over 10 years. If you want to learn advanced English form news articles, here's the place! This class is totally free-of-charge and is spoken in English. The "iLib Guider" app won the "2018 I.T. 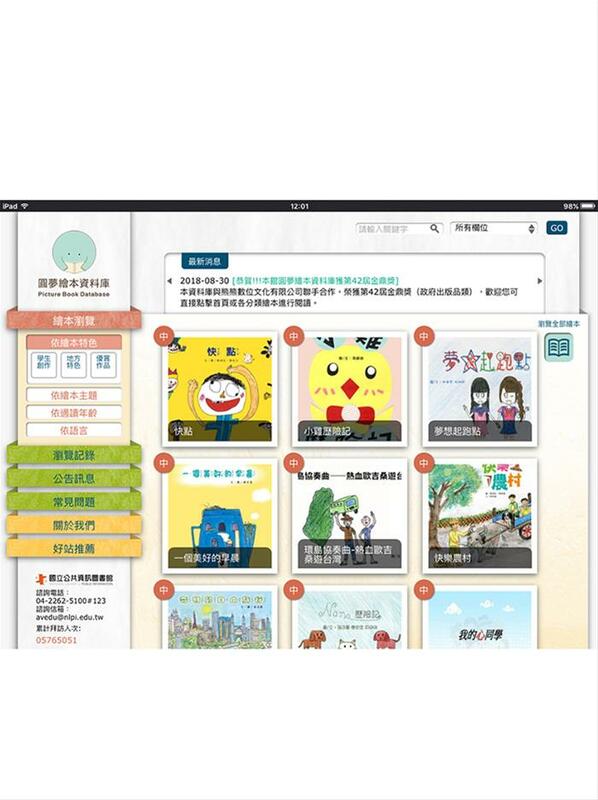 Innovation Elite Award" in Taiwan The National Library of Public Information(NLPI) developed the "iLib Guider" app in 2018. It combines the services of “Mobile Library Card”, “Library Online Catalog Inquiry”, and “Library Collection Navigation” to allow you to use our library unimpededly. Your cell phone is your library card! The app won the "2018 I.T. Innovation Elite" product award from Taiwan ICT Month. You are encouraged and welcomed to download,use and experience the new technology of the library, which will make you more intelligent and your life more convenient!